The season of festivals has already arrived and Diwali, one of the grand festivals of India is knocking at the door. Many Indians are planning to purchase a new car in this festive season and if you happen to be one of them there is no better time than this as most eminent car brands come up with discounts and several other offers during festivals. You can scour all the latest models of cars to choose the best as per your taste and budget. 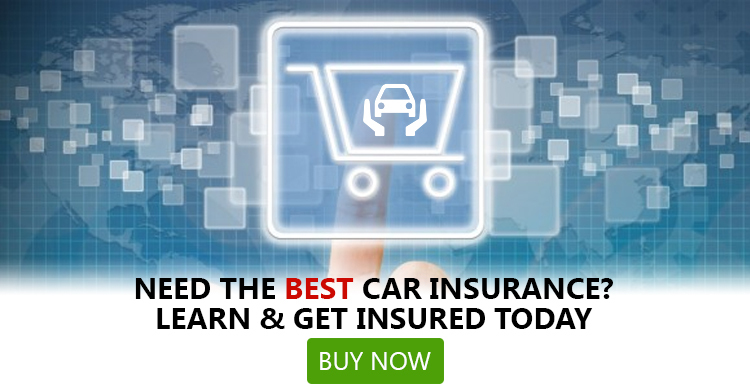 And, along with finding the best car brand and model you further need to gain information about the top car insurance providers operating in India to insure your car. To ease your quest to find the best motor insurance companies in India here is a comprehensive list of the top 10 car insurance providers that well and truly deserve your attention. Even though, comprehensive car policy is yet to be mandated in India, but it is highly recommended that you go for it. Protective cover for your own car is of utmost importance as incidents of road-mishaps are widespread in India. If you are planning buy a new car, you would obviously want to keep it well-protected. But it is a daunting task for any Indian who drives regularly on public roads. The gloomy picture of India’s road safety will compel you avail a comprehensive car cover. If you don’t have the slightest idea about how deadly Indians roads are, read on. In every single hour, Indian roads claimed more than 16 souls in 2014. 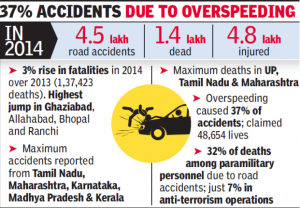 More than 1.41 lakh people died in 2014 due to crashes which is 3% higher than 2013. The total numbers of crashes was 4.5 lakh and total number of people who were left injured was 4.8 lakh. According to National Crime Records Bureau, the foremost reasons behind such enormous number of road-mishaps are rash driving and unnecessary speeding. Even if you are safe driver you cannot control other drivers on the road that drive recklessly. The last thing you want is your brand new car is damaged due to someone else carelessness and you are left with no coverage to get compensation. This is why a comprehensive car cover is of utmost importance and a must for you. You must know that, third-party motor insurance is legally compulsory in India as per Indian Motor Act. Although comprehensive plans are optional, it is highly recommended for you as you would undoubtedly prefer to keep your new car safe. A comprehensive plan offers coverage for damage or loss by your car to a third party vehicle or driver or property along with damage or loss caused to your car as well due to natural disaster or manmade calamities. On top of that, all car insurance companies come up with a bunch of add-on covers that you can also avail to extend your existing coverage. 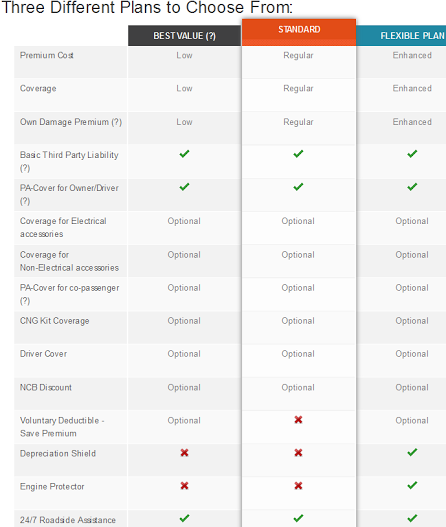 This list of top 10 Car Insurance Companies is made on the basis of several different parameters such as benefits, unique features, after-sale service, claim settlement record and many more. Being founded in 2011, Tata AIG offers car insurance solutions to private cars, two wheelers, commercial vehicles and second-hand cars. Here are some unique features of Tata AIG that puts the insurer in the top position. Royal Sundaram is the first general insurance company in private sector to get a license from the Insurance Regulatory and Development Authority of India in the October of 2000. Royal Sundaram is the first private insurer to collaborate with banks in order to sell selling retail insurance products. Here are some unparalleled traits that have made Royal Sundaram a standout car insurance provider. Bajaj Allianz obtained registration certificate from IRDA in the May of 2001 to carry out insurance business in India. The Company won the ‘Insurer Claims Team of the year’ by Claims Awards Asia 2014. ABP News BFSI awards 2015 also honoured Bajaj Allianz as the ‘Best Insurance Company of the Year’. You can select from three different car plans. The below are the USPs of Bajaj Allianz car insurance. 4. Universal Sompo General Insurance This insurance company happens to be the first ever Public Private Partnership in Indian General Insurance Industry. The Company obtained the Registration Certificate and license from IRDA in the November of 2007. When it comes to motor insurance, the insurance company has made a mark with its bespoke roadside assistance. 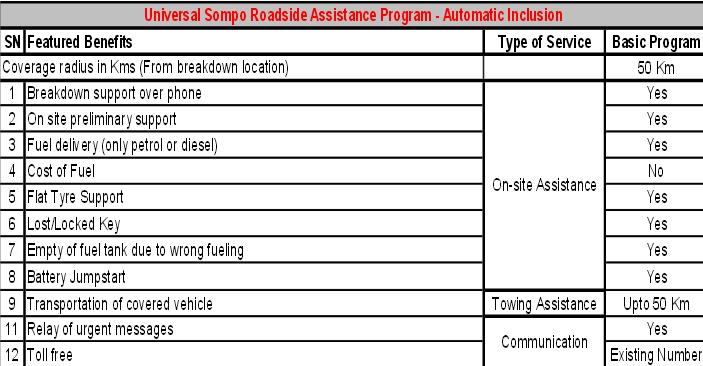 Here is a complete break-up of Universal Sompo roadside assistance program. Reliance General Insurance Company came into existence in the August of 2000 and obtained license from IRDA in the October of the same year. Reliance General Insurance became the first ever insurance company in India to receive the ISO 9001:2000 certificate. Reliance General Insurance offers extensive coverage in its car policies. Here are some chief benefits of availing car insurance plan from Reliance General Insurance. ICICI Lombard General Insurance Company is established in 2001. Ever since the inception, the insurance establishment has gone from strength to strength. At present, the company is regarded as the largest general insurance company operating in India. As far as the motor insurance is concerned, the company is highly sought-after by car-owners in India. 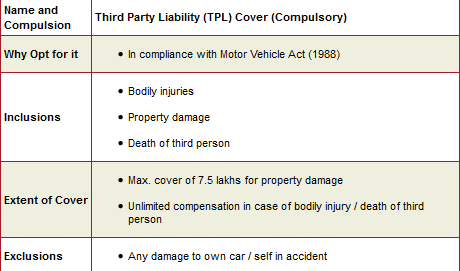 Let’s have a look at the third-party liability cover offered by ICICI Lombard. 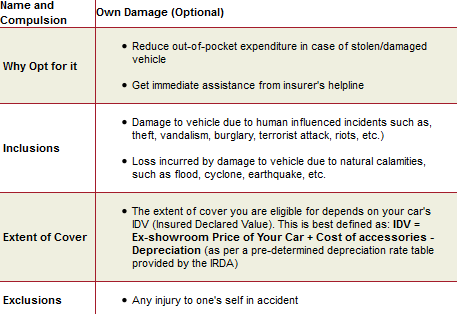 Here is a complete breakdown of the own damage cover provided by ICICI Lombard. The Oriental Insurance Company Ltd was founded in 1947 at Bombay. Over the years, Oriental Insurance has established itself as one of the premier general insurance providers in India. ICRA endowed this age-old insurance house with iAAA rating which is a rarity for an Indian insurance company. Here are some highlights of car insurance cover on offer at Oriental Insurance. 8. HDFC ERGO General Insurance Company HDFC ERGO is founded in 2002.The company is rated by ICRA Limited rated this insurance provider as ‘iAAA’ and the establishment also boasts ISO certification for offering flawless claim service to policyholders. Let’s go through the unique features of HDFC ERGO motor insurance policy. 10. Bharati Axa General insurance Bharati Axa began to operate across the country in 2008. This general insurance company happens to be the very first general insurance provider in India to secure both ISO 9001:2008 and ISO 27001:2005 certificates in 2009, within its 1st year in operation. The car insurance policy on offer by Bharati Axa are highly acclaimed by thousands of car-owners in India. You need to choose an adequate and appropriate insurance plan with care. It is prudent to go through all terms and conditions written on information brochure of car policies beforehand. Car insurance is one of the most significant aspects when it comes to maintaining your car. Since all companies’ offerings are apparently great, you should be on the lookout for a car insurance company that offers impeccable after-sale service. All the 10 car insurance companies mentioned above are rated well by the customers and you can pick any one of those depending on your requirements, location and budget. It will be better for you if you decide on the insurer even before purchasing the car.